Apple’s autonomous vehicle program, Project Titan, has mostly been kept under wraps and aside from a few sightings of its test vehicles, not much is known about Apple’s endeavors in the domain. But that doesn’t mean Apple has put the project on the backburner, as new reports claim that Apple’s fleet of self-driving cars is now bigger in size than Alphabet’s Waymo and Uber. As per a report, Apple now has a fleet of over 45 self-driving vehicles registered with California’s Department of Motor Vehicles. Apple has nearly doubled the number of autonomous vehicles in its test fleet in a span of fewer than two months, as the company only had 27 autonomous vehicles by the end of January. With 45 test units, Apple now has more autonomous vehicles than Google’s Waymo sub-division and Uber, both of which have been in the business for quite long. “Apple has nearly doubled the number of self-driving cars in its California test fleet. The number of cars is more than companies like Google, Uber and Waymo have and is second only to General Motors which performs tests with Cruise – its self-driving division”, read a report by Financial Times. Back in April last year, Apple reportedly had the permit to test just three autonomous vehicles in California, a number which has now increased 15 times. It must, however, be noted that Alphabet’s Waymo has reduced the number of test vehicles in California and has moved a number of autonomous vehicles to Arizona and Michigan. Apple is trailed by Tesla, which currently has 39 self-driving cars, while Uber sits behind it with 29 autonomous vehicles in its fleet. 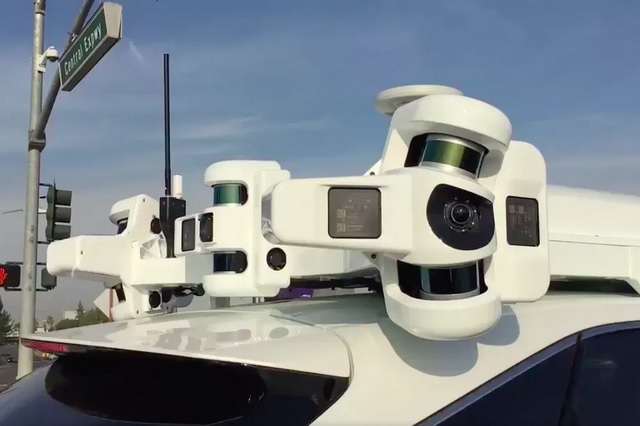 As part of the Project Titan, Apple is testing its self-driving technology on Lexus RX450h SUVs that are equipped with LIDAR sensors, several radar units, and a number of cameras for omnidirectional visual imagery and sensing.